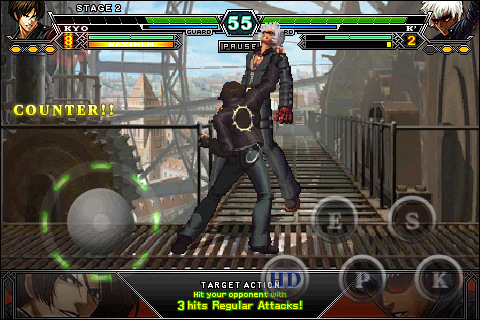 The popular 2D Fighting Game Series “KOF” appears on the iPhone/iPod touch! With beautiful visuals and high-resolution graphics, this game uses the Virtual Pad to bring you a seamless and intuitive “KOF” experience. Furthermore, moves that require complex commands can be easily pulled off with the Simple Specials Button or the various touch controls.